What Could make you eat extra food??? You are surrounded by food manufactures advertising they “entice” “ allure”, “attract”, “temp”, and “seduce” you to think that eating their product is what you are living for, And they know all of the tricks to effect your taste buds that make's you want and think you need more of there product. So if you dream a great life is eating lots of cream buns or whatever! Now take this chance to Wake up!!! Talking to Barry is the way to get your self and body in control. You and Barry may find out how and why you gain weight, how you are affected and then how you can change it permanently. Most people associate losing weight with exhausting exercises, always calculating calories, and starving. Today you may find out how you can successfully and permanently lose weight with Hypnotherapy. 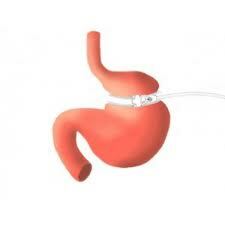 You can even have a *Hypno Gastric Band. (((kfkeat to live and feel good avbout yourselfE Find out the best way to lose your weight and achieve your goal, Eat to live and feel good about yourself and stop living to eat and not feeling good about yourself. Barry has over 15 years experience using hypnosis for weight loss issues and with personal sessions to understand YOUR psychology for YOUR weight loss. Are you already starting to fancy the Cream & Chocolate Bun? Buy a pack of 4 too last the week then eat them all at once ? Is that a habit that keeps on happening? Well now look at you stomach. IS it's time for a session on how to turn off your bad habit for too much of the wrong foods and give you a taste for foods that will increase your Fat Burning abilities that will so easily and quickly make you lose weight and feel good about yourself . Find out if you have already been Hypnotized by Advertisers! Hypnotic effects are often used in advertising. Too much salt, too much sugar and man made chemicals that will make you feel hungry or make you thirsty (this you often mistake for hunger) and make you eat more of a product that has no value to your health, it may just become ugly fat as you go on stuffing and stuffing it in. Barry's Advanced Hypnosis can help you get control. Help you feel full during a meal that can last until your next meal, and this feeling will be like a Gastric Band, as you just cut out your real problem much more effectively than any surgeon’s knife. The very personal session's can help give you so much more self respect. For example, when some subjects were told NOT to eat chocolates sitting right in front of them, their persistence in puzzle solving deteriorated. When they were told to suppress an emotional reaction to a movie, they found they were unaware they had eating more chocolates. This maybe the reason why willpower only works in the short term. You only have the conscious resources to exhibit willpower on one (or at the most two) fronts at one time. Your conscious mind is only able to process approximately 50 bits of information a second, while your sub-conscious mind processes approximately 11 million bits per second. That means your sub-conscious mind processes information about 220 THOUSAND TIMES FASTER than your conscious mind. With the discovered triggers for your desired behaviors that reside in your sub-conscious mind. you should automatically fill full, eat less and desire healthy portions, exercise, etc… without having to think about it consciously. Based on studies, if you have to consciously think about it all the time, you will exhaust your resources. If you can develop useful behavioral patterns sub-consciously they are more powerful. Hypnotherapy with Barry will help stop your cravings that make you over eat and will go on to change the way you think about food and feeling healthy!! I discovered something with Barry. I knew that I had made a good decision to Book sessions with Barry. As we progressed through the sessions - which seemed to take 5 minutes, it was so packed with unique information I'd never heard before – Barry’s use of Hypnotherapy demonstrated something I have never seen any other Weigh loss trainer do: rather than focus on the body, training, exercising, etc. *only,* he had real, 1000% heart-filled care for our emotional and spiritual well-being as well. I have gone through fitness programs, and they were all about cut this food out, lift these weights, and run here, calories that, eat this but don't eat the other. No one addressed the deep-seated emotional reasons we got fat in the first place. Barry does. I felt so loved and so cared for! "I'd rather have you drink the coffee until YOU want to give it up, because this is about YOUR program, and if you want the ritual of your morning coffee, I don't want to take that away from you." He knows that Hypnosis will get you to a point where your health has more importance than your habits, then we'll make new, healthy choices automatically. Barry knows what the UNDERLYING REASON is for wanting the coffee - it isn't only about whether or not the substance itself was good for the person or not. Barry understands that until we WANT to give something up, we can't. And if we are forced to, the giving-up leaves an energetic hole we'll fill with something else! *I* want to change it. Very cool. Deprivation is not part of this program! With Hypnotherapy and encouraging coaching from Barry to use other really simple ways to handle cravings and habits. He literally means it when he says you are going to love your body back to fitness and health. I am so impressed! So if you were hesitant before about using Hypnotherapy, I want to invite you - heartily - to call Barry For a Free assessment. It's such a great way to loose weight - wait till you see how Barry helps you stave off cravings, eat right and even enjoy what you eat! No more deprivation, starving, or blowing your heart out by working out like a Mad-Man! "In two weeks I have lost 10 1/2 pounds. I know it is due to hypnosis. I have been able to stop snacking, to stop eating deserts, and to eat only things that are healthy. Best of all, the uncontrollable urges I used to have are gone. To me, this is unbelievable. I never thought I'd be rid of them. I have tried various other methods to lose weight, but none of them dealt with the main problem -- which was always my thinking/beliefs! I felt individualized hypnosis was the answer , and am grateful beyond words to have the chance to finally have this help. Barry is a wonderful hypnotherapist, which made it even more pleasant than I expected/hoped. You can be sure I will tell everyone who asks how I've lost weight that I've done (and continued to do) it through hypnosis. Very comforting sessions. Progress was slow, but lasting. I have experienced some definite changes in my behaviours regarding my health." Dear Barry,Thank you For the help with my weight problem? On the day we met, and you changed what food meant to me on a deeper unconscious level, I began to realise that there was a way to lose weight EASILY. · I have now found it easy to stop snacking at night and I feel really happy with my body, YOU have completely re-patterned my thoughts, attitudes and beliefs about myself.With your help I have gained Control of my Health, food and diet. RON Butterworth. Middlesex. - My experience with your weight loss program was extremely positive. After my first session . I immediately noted behavioural changes that contributed to a consistent weight loss. I no longer craved sweets late at night nor snacked between meals. The modification to my behaviour included wanting to exercising daily for the first time in my life. I sleep better and feel better than I have felt in years. Within three months I had achieved my goal."